Soviet state farms (sovkhozes) have not attracted much attention in historical literature. While the history of forcing farmsteads into collective farms (kolkhozes) is nothing less than the history of subordinating the peasants and changing the lives of millions, the history of sovkhozes seems rather peripheral. They were purely state farms, their contacts with rural society were marginal and their economic weight was insignificant due to their small number. It might seem that sovkhozes do not contribute much to understanding Soviet agriculture. And yet, due to their exceptional position, sovkhozes give evidence of the ideals and desires of the Soviet elites in their purest form. As opposed to collective farms, there were no local rural traditions that could interfere with the aims of the Communist leadership. Since the work was done by wageworkers, they represented an agriculture without peasants. Soviet ideals were virtually implemented under laboratory conditions. Furthermore, until the Krushchev years, sovkhozes were exclusively and generously financed from the state budget. They were very well supplied with manpower, draft cattle and towing vehicles, machines, fertilizer and animals. In the Baltic Soviet republics before mass collectivization the main function of the state farms was to propagandize Soviet large scale agricultural production. 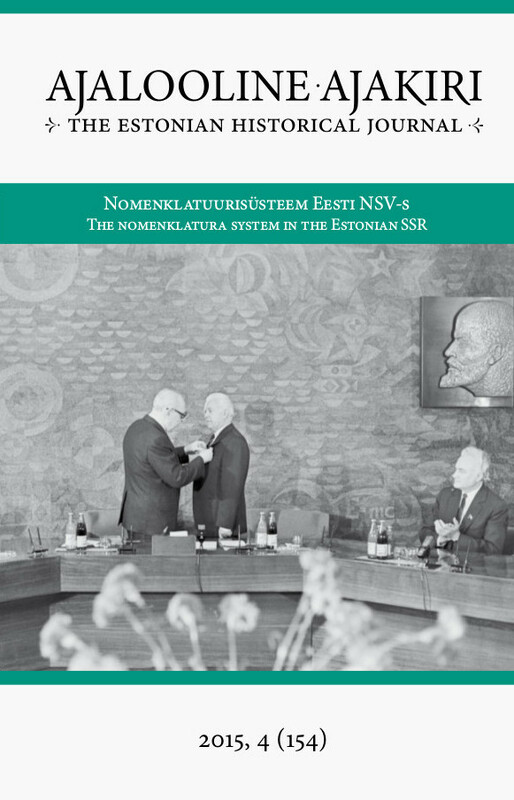 The Estonian case study shows that they failed. The oversupply of machines and fertilizer led to their unproductive use. Likewise, while the number of animals in state farms was increased at the expense of private farmsteads, the sovkhozes lacked the conditions for large scale animal husbandry and food had to be bought from the private sector. And while the sovkhozes had more manpower than they could productively use, turnover among workers was very high. Many came from the old Soviet republics, had problems coping with the Estonian language and saw their job merely as an intermediate stop. The discontinuous character of the workforce was one reason for inadequate and incompetent work. The strict forms of Soviet work organization proved unrealistic in a number of state farms and were replaced by local modes of labour. The line between self-help, corruption and self-enrichment of the sovkhoz leadership is often hard to draw. Due to these defects the sovkhozes never served as an advertising vehicle for large scale Soviet agriculture. The Communist Party leadership knew this perfectly well, yet they could not admit that the main reason for the problems was the Soviet agricultural policy itself. Keywords: Stalinism, Soviet countryside, state farms (sovkhozes), Estonia, agriculture.